The team working on the Red Alter mod for C&C 3: Tiberium Wars has posted a massive update containing concept art and renders, including Volkov (WIP), Combine and IVF Sickle for the Soviets, as well as the Allied Tank Loader, Wolverine Tanks (I and II) and Harvester. Finally, there's a concept of a South Korean Vault setting. 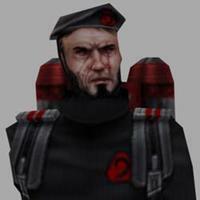 Have a look at these samples: ' rel='lightbox'>http://media.moddb.com/images/mods/1/17/16378/major_volkov_by_tugodoomer-d42gwz5.jpg ' rel='lightbox'>http://media.moddb.com/images/mods/1/17/16378/soviet_harvester_by_tugodoomer-d4du87t.jpg ' rel='lightbox'>http://media.moddb.com/images/mods/1/17/16378/b9caac16424a.jpg Click here for more. Bluehell Productions has posted some new screen shots depicting the new Light Tank created by Kane000, MightyBob and Eggman891, based on the M24 Chaffee. Four distinct skins will be featured in the next release of Red Alert: A Path Beyond, same as the previously shown Heavy Tank. ' rel='lightbox'>http://media.moddb.com/images/games/1/1/321/ltnks.png ' rel='lightbox'>http://media.moddb.com/images/games/1/1/321/ltnk.png You can follow the progress of A Path Beyond on their website and IndieDB profile. The Tiberium Crystal War mod for C&C Renegade has posted some new images on their IndieDB profile. They've made some new icons for stolen-tech vehicles, including a yet unseen Beam Cannon. The Harvesters are announced for a later time. Also, wallpapers by kenz3001 have been released, which, if you remember, were featured in CBCPT Episode 4. Check out some samples: ' rel='lightbox'>http://media.indiedb.com/images/games/1/17/16488/pticonos.jpg ' rel='lightbox'>http://media.indiedb.com/images/games/1/17/16488/z_4c9e8762.jpg ' rel='lightbox'>http://media.indiedb.com/images/games/1/17/16488/z_95c6d0b2.jpg Click here for more. The team working on the Tiberium Crystal War mod for C&C Renegade has released a new online demo, with a rather lengthy change log. This release features both infantry and some basic vehicles, as well as Armouries and Secret Shrines. Many new maps were added, but the TCW_Temple map wasn't finished, so one small patch can be expected for this release as well. Click here to download the latest online demo from ModDB. The team working on the MidEast Crisis 2 mod for C&C 3: Tiberium Wars has posted some pieces of concept art, showing GOI and IDF Town Halls, GOI Airfield and a tech vehicle called the Nethia Truck, as well as some unused concepts like the GOI Flame Tank and two variants of a UN Drone. Finally, there's an impressive painting of the Brummbar driving through a destroyed city. Have a look at some samples: ' rel='lightbox'>http://media.moddb.com/images/mods/1/10/9879/Dec11_concept2.jpg ' rel='lightbox'>http://media.moddb.com/images/mods/1/10/9879/Dec11_concept6.jpg ' rel='lightbox'>http://media.moddb.com/images/mods/1/10/9879/Dec11_art1.jpg Click here for more concept art. If you haven't done so already, you can vote for MidEast Crisis 2 on ModDB's MOTY Awards 2011. Helge129, the creator of the Tiberian Apocalypse mod for C&C 3: Tiberium Wars, has recorded a short video showing the firing effects of his new Avatar Warmech. Even though it shares the same firing sound as the Scrin Seeker, it still looks quite intimidating overall. Watch it below: http://www.moddb.com/media/iframe/546035 You can follow Tiberian Apocalypse through its ModDB profile. The team working on the Tiberium Secrets mod for C&C 3: Tiberium Wars have posted some impressive pieces of concept art and renders focused on the Colony faction. Below is a part of the update. ' rel='lightbox'>http://media.moddb.com/images/mods/1/17/16120/head1_copy.jpg ' rel='lightbox'>http://media.moddb.com/images/mods/1/17/16120/queen_concepts_sketches.jpg ' rel='lightbox'>http://media.moddb.com/images/mods/1/17/16120/infected_landscape.jpg Click here for more. The Twisted Insurrection mod for Tiberian Sun: Firestorm has been updated with four new maps: Outlying Locality (2-6), GloboTech Mutated Arena (2-4), GloboTech Desert Arena (2-4) and GloboTech Water Arena (2-4). Here are some of them: ' rel='lightbox'>http://ti.ppmsite.com/Public/Maps/localitymega.jpg ' rel='lightbox'>http://cl.ppmsite.com/Public/Arena_M%20mega.png ' rel='lightbox'>http://ti.ppmsite.com/Public/Maps/gtarewmega.jpg Click here for more. The team working on the Tiberian Apocalypse mod for C&C 3: Tiberium Wars has posted some screen shots of the new F-39 Orca Interceptor for the GDI, which sports an interesting design. It is armed with twin chainguns and missile launchers. It can be upgraded to replace the chainguns with repeating railguns and will possibly replace the Firehawk. ' rel='lightbox'>http://media.moddb.com/images/mods/1/10/9383/GDI_Orca_Interceptor.jpg ' rel='lightbox'>http://media.moddb.com/images/mods/1/10/9383/OrcaInterceptor_01.jpg ' rel='lightbox'>http://media.moddb.com/images/mods/1/10/9383/OrcaInterceptor_02.jpg For more Tiberian Apocalypse images, click here. The team working on the popular Contra mod for Generals: Zero Hour has created several new vehicles and structures - the Antiradar Missile Launcher for the GLA Stealth General, as well as the Coyote Light Tank, Raven Combat Drone, Leech Droid, Laser Crusader and Communications Center for the USA generals. Here are some samples: ' rel='lightbox'>http://media.moddb.com/images/mods/1/11/10422/aml-render.jpg ' rel='lightbox'>http://media.moddb.com/images/mods/1/11/10422/Coyote-Render.jpg ' rel='lightbox'>http://media.moddb.com/images/mods/1/11/10422/Leech-Render.jpg Click here for more. After the ModDB profile for the Red Alert Synergy mod for Red Alert 3 disappeared, development on the mod has officially stopped. No one knows why SighNapse and R3ven called it quits with the mod, as all questions regarding the reason of ceasing all work received a mysterious or no answer. R3ven has uploaded the final build of the mod on ModDB, not to disappoint the fans who've waited all this time to see a full release. Fans are asked not to report bugs, as Hexagon Mods isn't interested in continuing the project in any way. Hexagon Mods still works on Advance Wars: Frontline and Paradox. All comments on this situation can be written here. It's sad to see such an ambitious project end this way, especially when it gets a wide fan base like Synergy did. The team working on the Tiberian Apocalypse mod for C&C 3: Tiberium Wars has added two new units to the GDI arsenal: the V-35H Heavy Ox Transport with the Orca Carryall variation (notice the second set of wings on the latter) and the M-28 Mammoth Tank. Here are some samples: ' rel='lightbox'>http://media.moddb.com/images/mods/1/10/9383/GDIHeavyOx.jpg ' rel='lightbox'>http://media.moddb.com/images/mods/1/10/9383/GDI_Carryall.jpg ' rel='lightbox'>http://media.moddb.com/images/mods/1/10/9383/M28_02.jpg Click here for more. The team working on the Tiberian Sun Redux mod for Generals: Zero Hour has posted three renders of GDI infantry units - the Rifleman, the Disc Thrower and the Jump Jet Trooper. Have a look: ' rel='lightbox'>http://media.moddb.com/images/mods/1/13/12811/rifleman.jpg ' rel='lightbox'>http://media.moddb.com/images/mods/1/13/12811/disctrower.jpg ' rel='lightbox'>http://media.moddb.com/images/mods/1/13/12811/Jumpjet.jpg For more Tiberian Sun Redux images, click here. Speeder and the Mentalmeisters team have made a major update for the Mental Omega APYR mod version 3.0. Azri_apoc continues to create voxels that are more than impressive, and this time he has modelled the Archon, Chrono Miner, Rottweiler Tank and Destroyer for the Allies; Driller APC, Mantis Tank and Magnetron for Epsilon, as well as the Tesla Cruiser, Nuwa Cannon, Dreadnought and Typhoon and Akula Submarines for the Soviets. Here are some of them: ' rel='lightbox'>http://mo.cncguild.net/news/alliedarchon.png ' rel='lightbox'>http://mo.cncguild.net/news/epsilonmagnetron.png ' rel='lightbox'>http://mo.cncguild.net/news/sovietdreadnought.png Also, Zenothist has created the first video of a new series that showcases commandos for each faction. This time it's the commandos of Epsilon Headquarters and China, Rahn and Yunru respectively. Click here to see the full update.